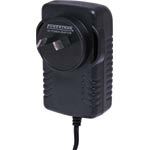 Manufactured to stringent quality control procedures, all Powertran E-I transformers are fitted with a primary thermal fuse, ensuring maximum safety. 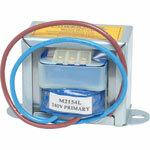 However we recommend that an external primary fuse should be fitted where applicable. The value of the fuse should match the recommended value indicated for each model. Their performance is exceptional, with excellent regulation and temperature rise characteristics. 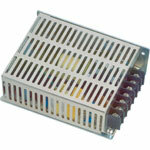 An extensive range of voltage and current outputs are available. All have been tested by the relevant Energy Authority and have been assessed to comply with the relevant clauses of AS3108. All have been issued with a certificate of suitability. Altronics has combined with one of Asia's largest manufacturers to develop this slimline range of plugpacks. 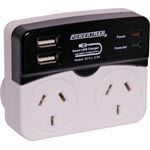 All new slimline design allows two plugpacks up to 500mA rating (except for M 9449) to be plugged in, side by side, into a standard double power point. All models include a LED "On" indicator. 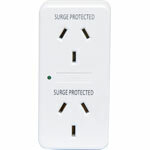 The multi-voltage models incorporate a voltage selector switch which is inaccessible once plugged into the power point. 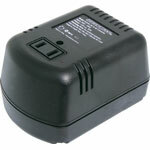 This feature reduces the possibility of accidental adjustment of the desired voltage setting. 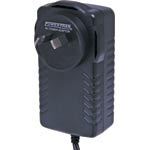 12V DC Switchmode Plugpack Supplied with fixed 2.1mm DC positive tip. 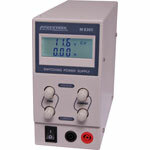 Compact design with high current regulated output. Energy authority approved. MEPS approved. 12VDC @ 3A. 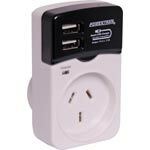 Maximise the flexibility of your powerpoint with this double adaptor. 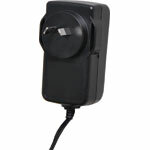 5V DC Switchmode Plugpack Supplied with fixed 2.1mm DC jack. 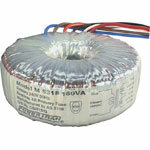 Compact design with high current regulated output. Energy authority approved. MEPS approved. 5VDC @ 4A. 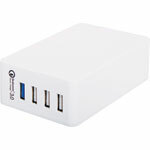 A dual outlet USB adaptor with two 240V GPOs with high current output (3.5A) for faster charging than standard USB adaptors. Max 3.5A current shared between both USB outputs.